Heatmapping Congress was the product of the two day Bicoastal Datafest held at Columbia University and Stanford University. 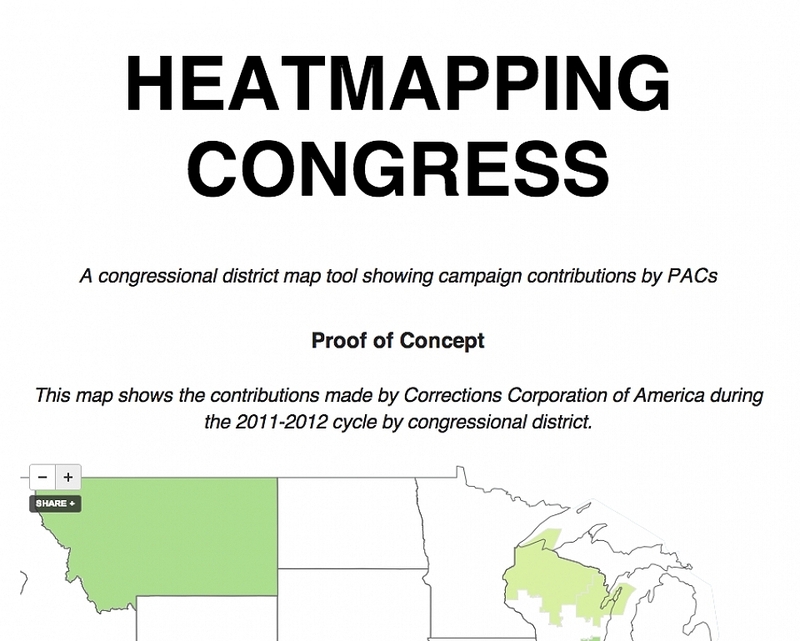 When completed, Heatmapping Congress will be a resource for any citizen to see corporate donations, by district, by election. The proof of concept map shows the contributions made by Corrections Corporation of America during the 2011-2012 cycle by congressional district.